From the 1979 serial The Creature From the Pit starring Tom Baker as The Doctor this is an original costume as worn on screen by the Chlorian guards. 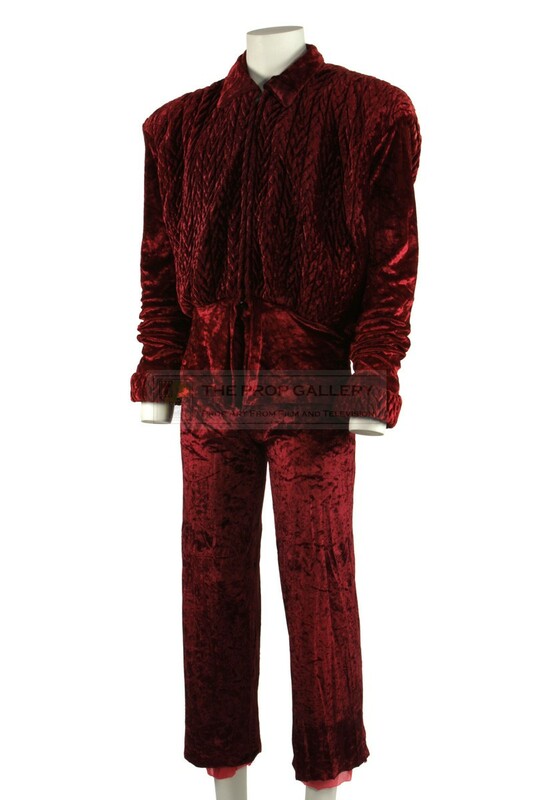 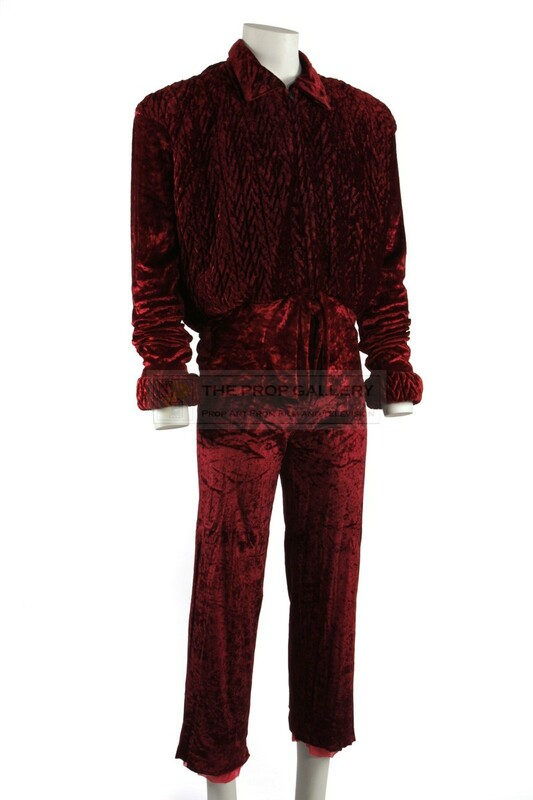 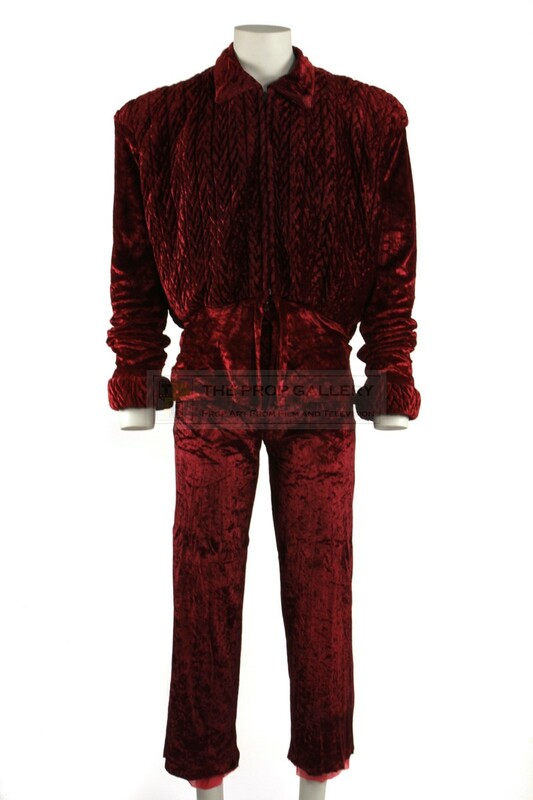 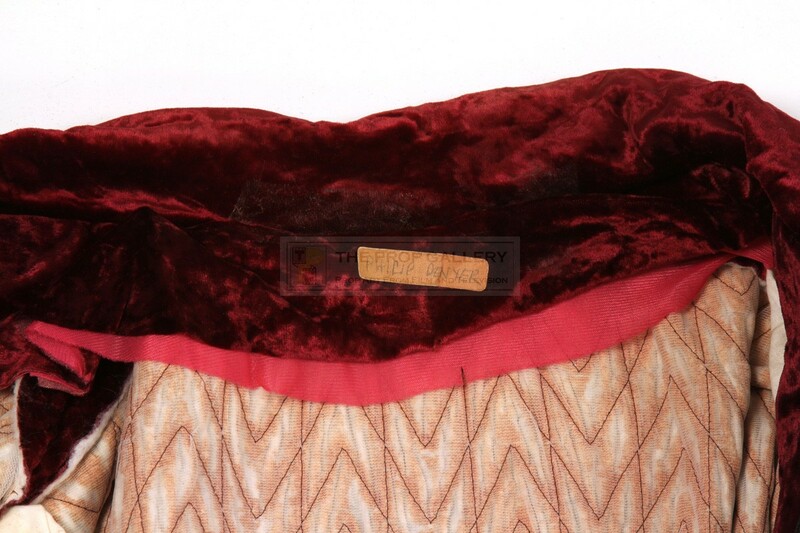 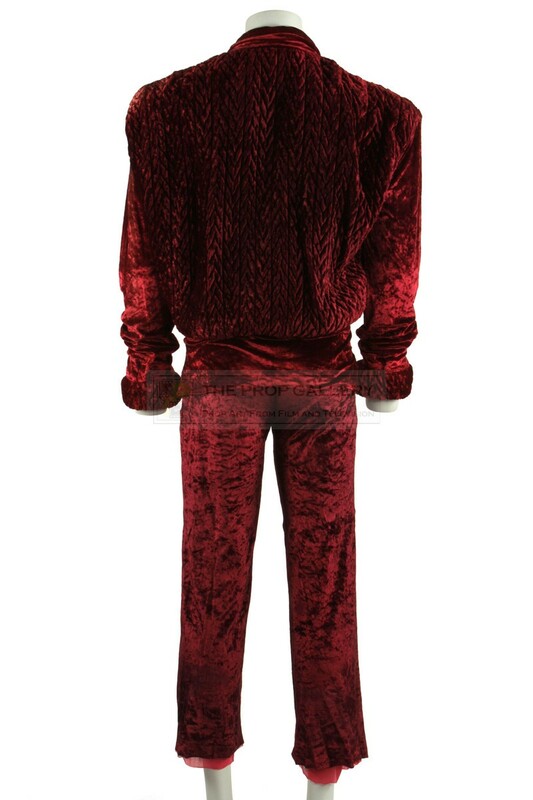 Custom made for the production by the BBC Wardrobe Department the two piece costume consisting of tunic and trousers is constructed from a deep red crushed velvet with both parts featuring labels hand inscribed 'PHILIP DENYER' and a further tag inscribed 'FUT132' to the trousers. 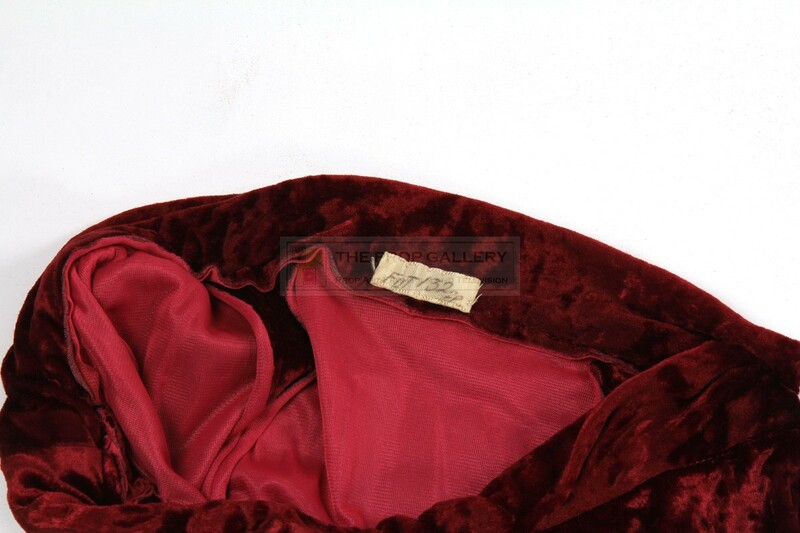 The costume remains in good production used condition with some of the interior foam padding having deteriorated and no longer present, otherwise fine. 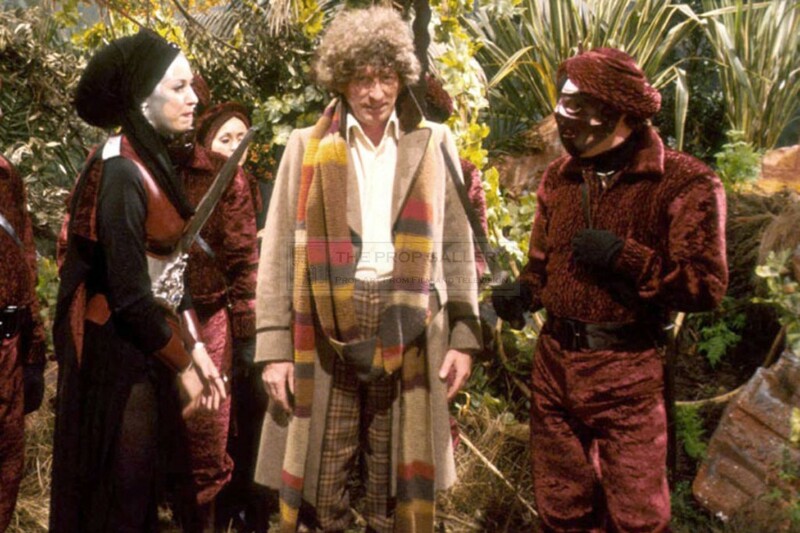 A fine example of original wardrobe from the Tom Baker era of this classic science fiction series.